Battle recommences in the Saudi Professional League on Tuesday with a pair of intriguing matches. Leaders Al Hilal will be without suspended Brazilian talisman Carlos Eduardo, but could welcome Italy pocket rocket Sebastian Giovinco, for the visit of mid-table Al Qadsiah to King Saud University Stadium. In the night’s other matches, the Jorge Fossati-era starts at Al Ahli Jeddah when they welcome another Riyadh powerhouse, Al Nassr. Elsewhere in this round, fallen giants Al Ittihad’s clumsy attempts to escape the relegation zone continue on Friday at Al Raed. It’s been an entertaining introduction to life at Hilal from coach Zoran Mamic. The 48-year-old has repaid the decision to poach him from Arabian Gulf League champions Al Ain with a flood of goals. Ex-France striker Bafetimbi Gomis’ injury-time follow up at Al Batin earned a rollercoaster 3-2 win at Al Batin, extending a 100-per-cent record across three matches at a combined score of 12-4. Mamic has loosened the leashes strapped on by the masterful Jorge Jesus, urging full-backs to bomb forwards and granting Hilal’s all-time top foreign goal scorer, Eduardo, the freedom of the park. But this game plan will, reportedly, need to be tweaked for the next three domestic fixtures after the 29-year-old’s inexplicable jumping stamp in the final throes on Friday. Hilal, however, are blessed with options for the pivotal No10 role. Winter addition Giovinco has begun training after he arrived injured from Major League Soccer. His low centre of gravity and extravagant skills would provide a flamboyant alternative to the powerful Eduardo, if match fit. Explode into life against sinking opponents who’ve lost five of their last six matches and extra pressure will be exerted on Mamic ahead of the decision to select his four foreigners for the 2019 AFC Champions League. Other options include Salem Al Dawsari, who sporadically played a central role for Saudi Arabia at Asian Cup 2019, to middling effect. He’s also back in the fold. The capricious SPL churns through coaches like few other competitions across the globe. Pablo Guede’s reward for winning four-successive top-flight matches at Ahli was a summary firing after just seven months in charge, with Gulf veteran Fossati being drafted in so quickly that there was barely time for a desk to be cleared. To unpick this decision, you must start from the back. Ahli have conceded the most goals in the top six (26). December’s 4-3 loss at Hilal and October’s shameful 6-2 surrender at Ettifaq signpost their helter-skelter nature under Guede. This is where Fossati and his – virtually – ever-present 3-4-2-1 formation comes into play. If you can tighten up the defence without impeding 13-goal marksmen Omar Al Somah and Djaniny, then a 10-point gap to the leaders could soon close. Fossati has had less than a week on the training pitch to instill his principles. An early acid test awaits against Nassr. We are more than five months into Slaven Bilic’s reign at Al Ittihad – and still the eight-time champions are no closer to extracting themselves from the relegation zone. Saturday’s stalemate at Al Taawoun saw five winter additions feature. Chances and points, however remained at a premium. Midfielder Abdullah Al Bishi shone at the Asian Cup, but was hooked on the hour mark. Fahad Al Muwallad and Aleksandar Prijovic shared harmless headers. Bilic arrived in Saudi Arabia with a battered reputation after a mixed few seasons at West Ham United. A search for redemption has, thus far, been forlorn. Al Raed are in even worse form, losing their last four games in all competitions. Ittihad must make this five to avert the very real danger of sleepwalking into Prince Mohammad bin Salman League. New coach Zoran Mamic will look to continue his explosive start to life at Saudi Professional League champions Al Hilal when they travel to relegation-battlers Al Batin on Friday. Mamic, 47, was only drafted in last week from Al Ain as replacement for Jorge Jesus after a breakdown in relations with the Crescent’s board about his long-term future. The ex-Croatia international, however, excelled on debut as Al Fateh were dispatched 4-1. Batin’s recent upturn was halted by Al Ahli Jeddah on Saturday, keeping them in the play-off spot. Mamic’s focus and strong constitution came to the fore during Monday’s instant debut with the Middle East’s premier club. With several extra days logged on the training pitch, now comes the defining challenge of making this Hilal side his own. Only a month remains until the 2019 AFC Champions League kicks off, at ex-employers Al Ain, and success in this competition is an absolute necessity. The 4-2-3-1 formation utilised under Jesus remained. Only the personnel was tweaked. Brazilian talisman Carlos Eduardo was freed from Jesus’ tactical shackles – and he was magnificent. A perfect top-corner shot and selfless assist for Nawaf Al Abed followed. Hilal were happier to go direct, earlier. This approach reached its zenith with rampaging midfielder Mohammed Kanno’s delicious ball over the top for striker Bafetimbi Gomis’ volleyed second. To recover from Abdelkader Oueslati’s early penalty would have also pleased Mamic. Next opponents Batin have the competition’s third-worst defence. They should provide a gentle step on his assimilation. 2018 should have been the defining year in Al Abed’s career. Instead, it was ruined by injury. 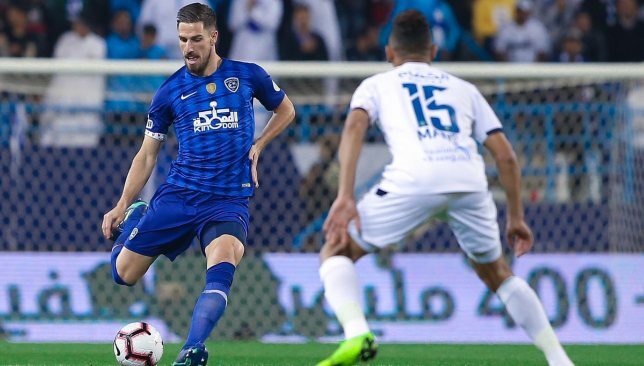 Saudi Arabia’s star player could not prove his fitness in time for World Cup 2018, he featured just 11 times as Hilal surged to the 2017/18 SPL crown and long-term animosity with Sami Al Jaber caused ructions. A new page, however, appears to have been turned in 2019. King Saud University Stadium erupted when Al Abed found the bottom corner to complete the 4-1 rout of Fateh – the gifted winger’s last Hilal goal came in May 2017. With new additions Sebastian Giovinco and Jonathan Soriano hampered by injury, Hilal’s fallen golden child must keep taking his chances. Batin’s recent resurgence came to a halt last Saturday with an expected 2-1 loss to Al Ahli Jeddah. In all competitions, coach Yousef Al Ghadeer had last tasted defeat six matches previously. Some recovery after an uncomfortable early succession once Franky Vercauteren was sacked in November. Despite this upturn, Batin have only moved up one spot from 14th to 13th – in the relegation play-off. To rise higher, goalless January addition Ismael Bangoura, the veteran Guinea striker, must start scoring for the division’s second-worst attack. 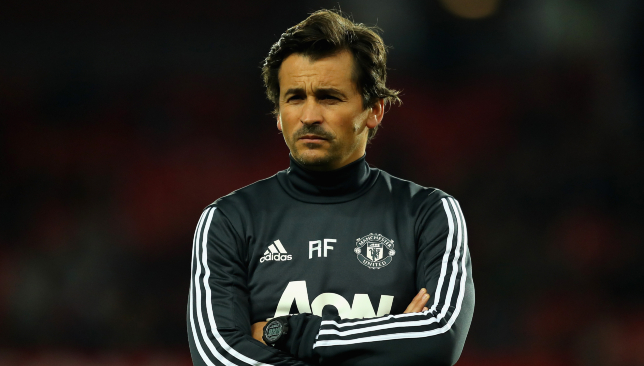 Former Inter Milan, Real Madrid and Manchester United assistant Rui Faria has been contacted by Saudi Professional League-giants Al Hilal about replacing Jorge Jesus if their current head coach makes a dramatic return to Benfica. Faria, 43, was approached, once again, by the Crescent on Friday to ascertain potential interest in the biggest job in Middle Eastern football if it becomes available. The 17-year acolyte to Jose Mourinho has been told he is first choice for the position, plus is prepared to make them his opening managerial post if the conditions are right. This move represents a reigniting of previous interest. The highly-rated Portuguese travelled by private jet with his representatives to Riyadh for unsuccessful talks prior to Jesus’ hiring in June on a lucrative one-year contract. Benfica are currently searching for a replacement to the dismissed Rui Vitoria. Correio da Manha reported that a meeting took place between Jesus and big-spending SPL leaders Hilal on Friday to discuss the 64-year-old’s future, from which acceptance of a renewal offer is still forthcoming. A source close to Faria revealed that the Barcelos-native was open minded about the renewed overtures and that his contract with United – that he unilaterally terminated in May – was the major impediment to a past deal. “Rui Faria was contacted again last Friday to know conditions to take Al Hilal in case Jorge Jesus leaves for Benfica,” they said. “Earlier in the year, Faria had been in Riyadh to negotiate with Al Hilal, but as, at the time, he still had a contract with Manchester United, he could not accept the offer. Faria has been linked to a plethora of No1 roles since he broke his connection to Mourinho. These include Sporting Lisbon, Aston Villa and Benfica. He also emerged in September as a potential candidate to replace Alberto Zaccheroni with the UAE. But the Asian Cup-hosts – who began on Saturday with a dispiriting 1-1 draw against Bahrain – chose to stick with the embattled ex-AC Milan, Juventus and Japan supremo. Faria’s immediate future in the Arabian Gulf is tied into Jesus’. Benfica, according to widespread reports in Portugal, are prepared to rehire a tactician who controversially defected to bitter-rivals Sporting Lisbon in June 2015. In a six-year stint at Estadio da Luz, he’d claimed 10 major trophies. If Faria makes the switch to Saudi, he joins an ambitious competition that already contains former Croatia boss Slaven Bilic, at Al Ittihad, and ex-Egypt firebrand Mido with Al Wehda.